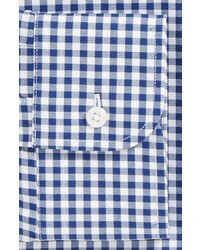 If you're hunting for a casual yet stylish outfit, consider wearing a Nordstrom navy and white gingham long sleeve shirt and navy jeans. These two pieces are very comfortable and they also look stunning when paired together. Amp up the cool of your ensemble by completing it with tobacco suede derby shoes. 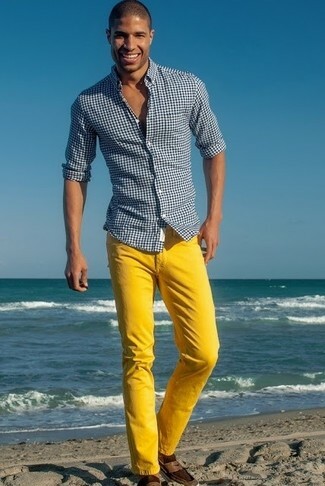 If you're looking for a casual yet seriously stylish look, go for a navy and white gingham long sleeve shirt and yellow jeans. As well as totally comfy, these items look great when worn together. Kick up the cool of your ensemble by wearing dark brown suede loafers. 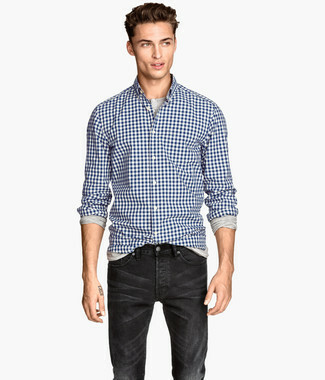 If you're on a mission for a casual yet sharp getup, pair a Nordstrom Shop Classic Fit Non Iron Gingham Dress Shirt from Nordstrom with black jeans. As well as very comfy, these two pieces look great when paired together. 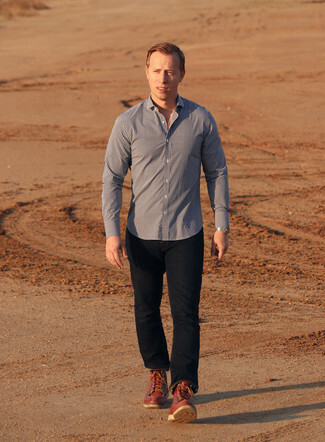 If you're on a mission for a casual yet on-trend ensemble, make a navy and white gingham long sleeve shirt and khaki chinos your outfit choice. These pieces are totally comfortable and they also look great paired together. 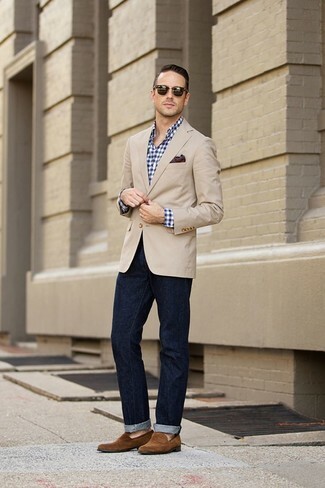 When it comes to footwear, this ensemble is finished off wonderfully with dark brown leather boat shoes. 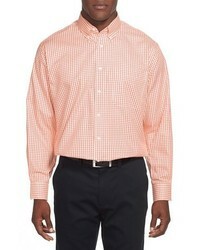 A Nordstrom Shop Classic Fit Non Iron Gingham Dress Shirt from Nordstrom and khaki chinos are veritable menswear staples if you're planning a casual closet that holds to the highest fashion standards. 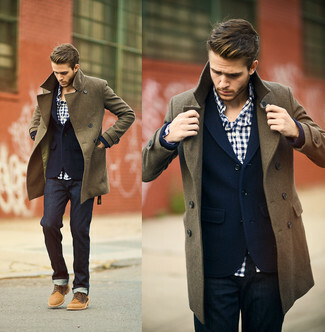 Take a more elegant approach with footwear and complete this look with a pair of brown leather casual boots. 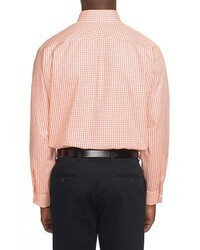 If you're scouting for a casual yet sharp getup, rock a navy and white gingham long sleeve shirt with olive chinos. As well as very comfy, both of these garments look amazing when paired together. 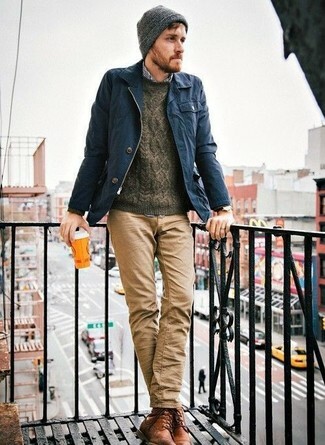 For something more on the daring side to round off this outfit, go for a pair of brown leather work boots. 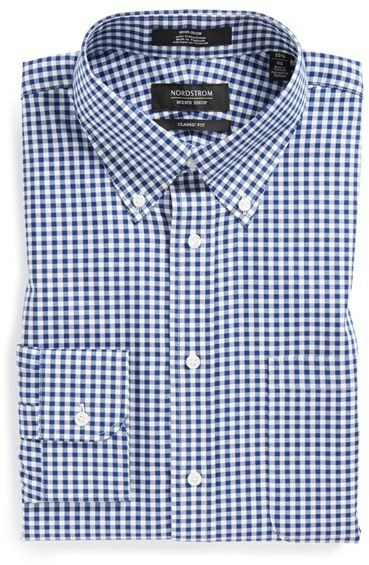 If you're hunting for a casual yet stylish ensemble, opt for a Nordstrom Shop Classic Fit Non Iron Gingham Dress Shirt from Nordstrom and navy jeans. As well as very comfortable, these two items look great paired together. Bump up the cool of your look by rounding it off with brown suede loafers. If you're in search of a casual yet seriously stylish outfit, consider wearing a Nordstrom navy and white gingham long sleeve shirt and navy jeans. 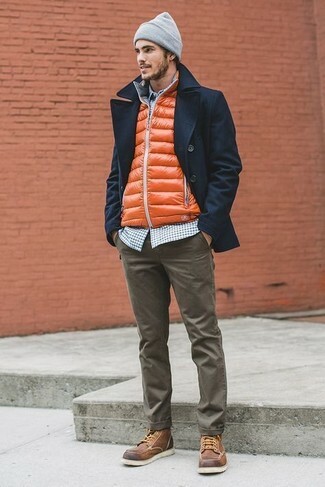 As well as super comfortable, both garments look great when worn together. Opt for a pair of red leather work boots to make the look more current. If you're on the lookout for a casual yet seriously stylish ensemble, rock a Nordstrom navy and white gingham long sleeve shirt with dark green jeans. As well as totally comfortable, these pieces look great together. 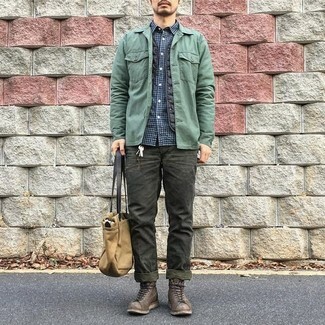 For something more on the daring side to finish off this look, opt for a pair of dark brown leather work boots.